By GreenEyedLillies on June 22nd, 2008 . Filed under: Clothing . 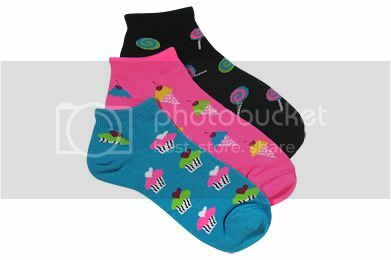 Three-pack of socks featuring ice cream cones, lollipops and cupcakes. « Cupcake Kitchen Timer that’s available!! Extremely interesting post thanks for writing it I just added your blog to my favorites and will check back.